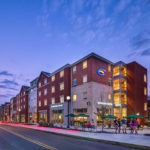 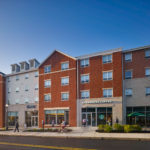 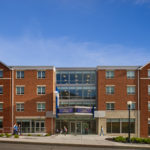 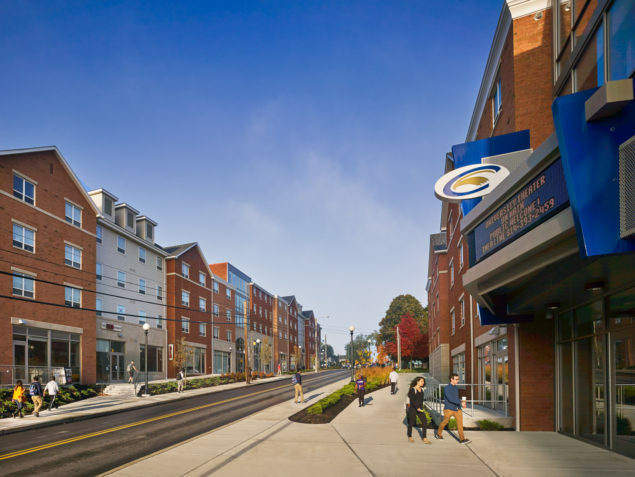 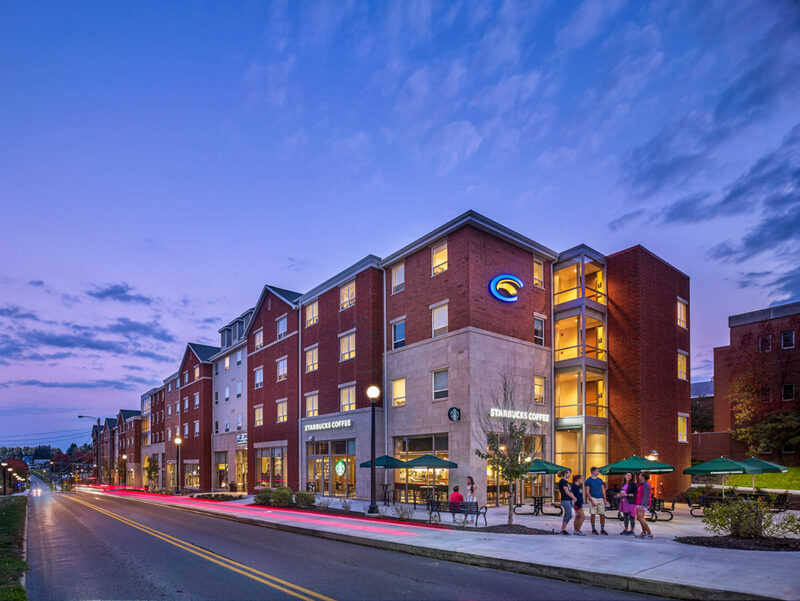 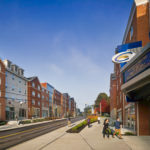 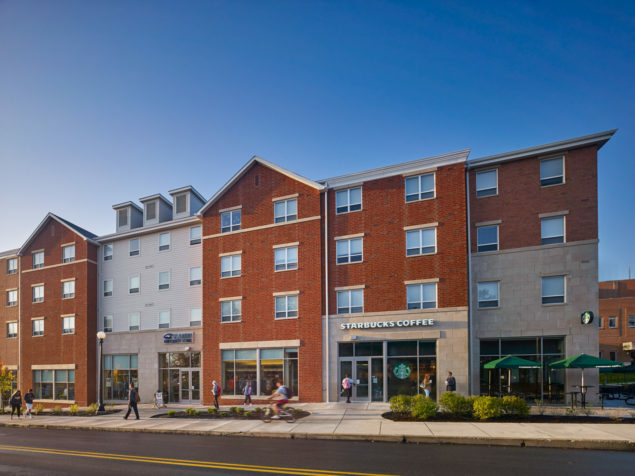 Flanking Main Street, two buildings are home to 728 students above retail and university facilities engaging the University with Clarion’s business district. 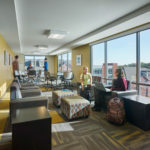 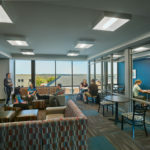 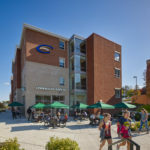 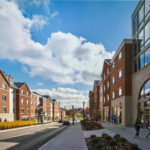 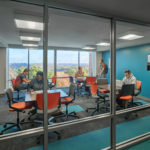 The scale, character, and amenities of the complex offer a unique small town urban university experience. 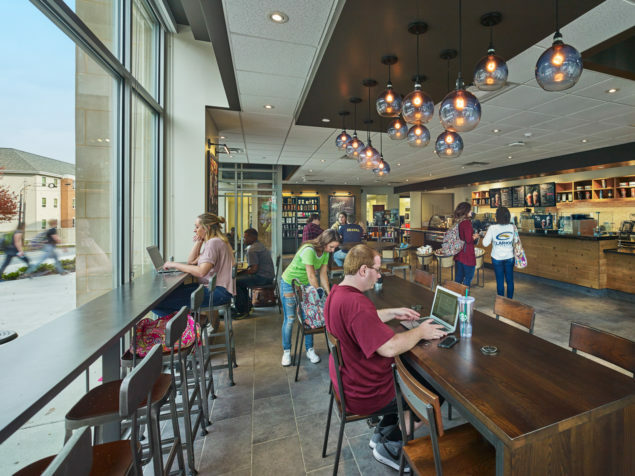 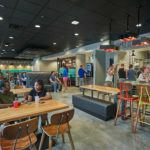 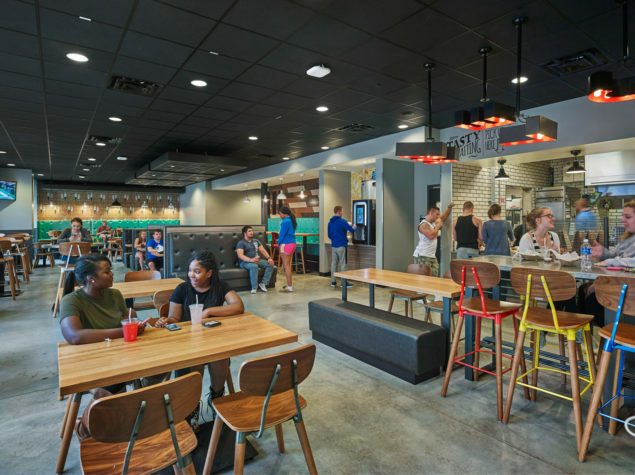 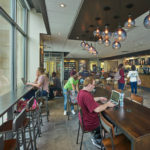 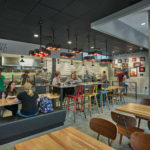 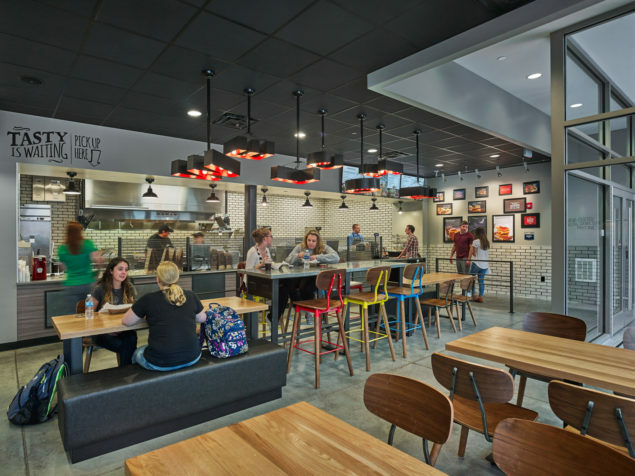 A street front coffee shop, bookstore, restaurant, and a 190-seat movie theater with stage and instruction space serve the community and University. 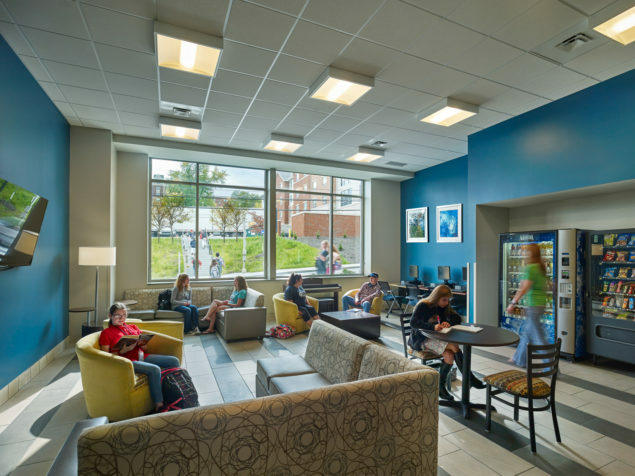 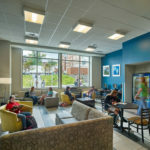 Flexible multipurpose rooms serving 50 to 125 with adjacent kitchens and recreation spaces support student life at street level. 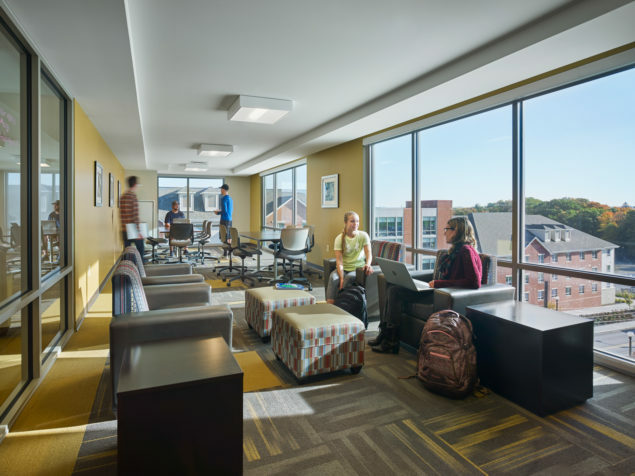 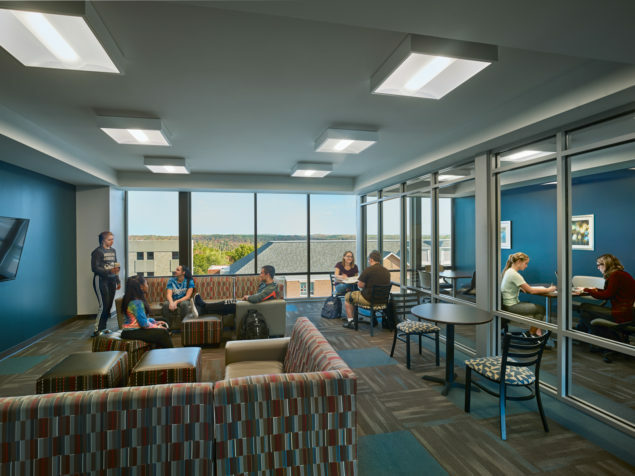 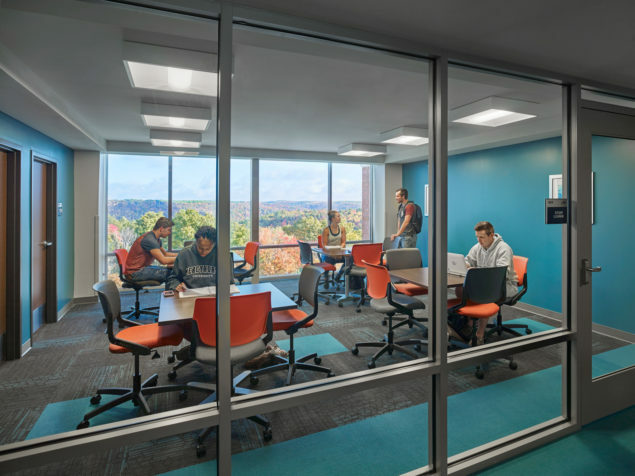 Social and study lounges, kitchens, and laundries enhance the sense of community on each residential floor. 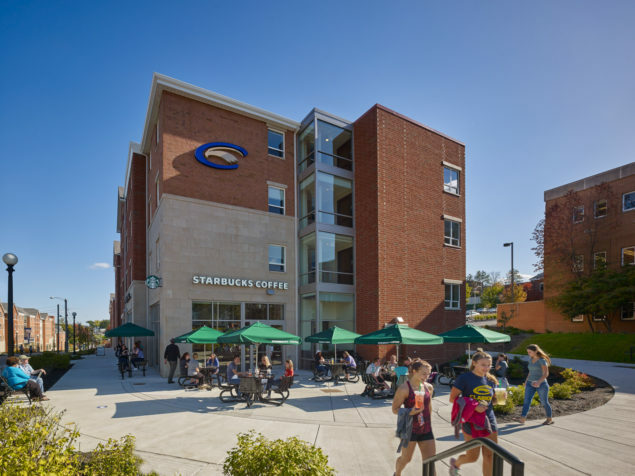 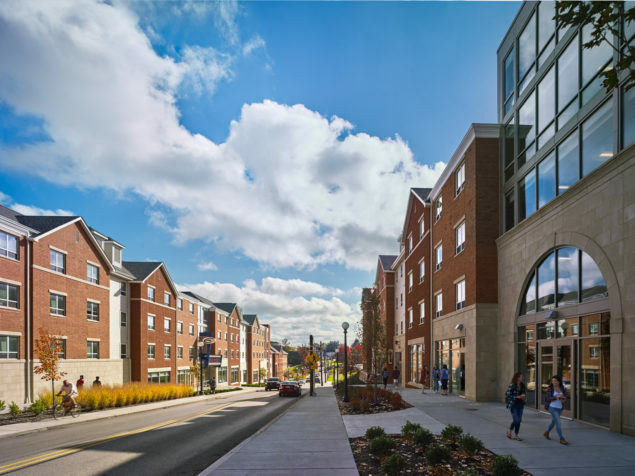 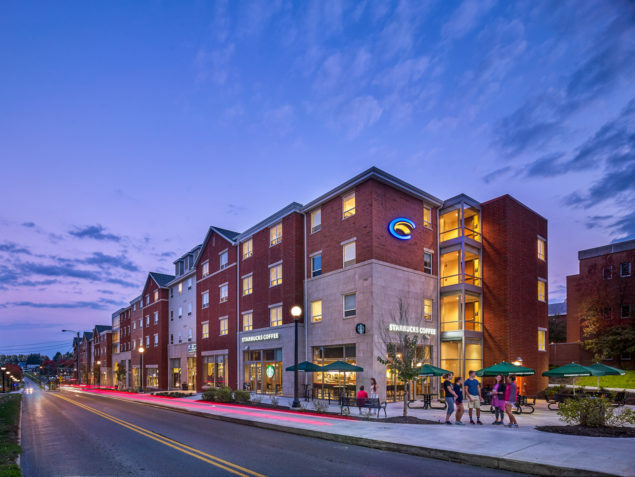 The rhythm and scale of the sloped roof masonry buildings reflects the traditional character of campus and respects the pedestrian scale of the business district. 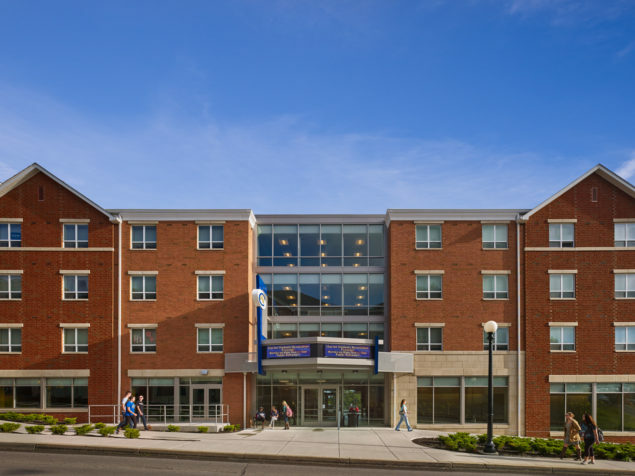 This LEED Silver project features energy efficient geothermal heating and cooling.